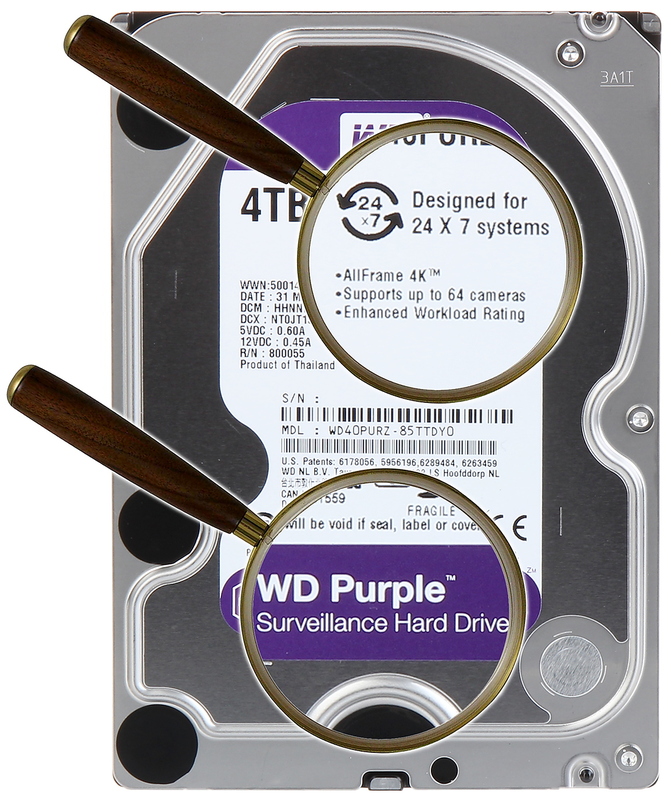 All WD Purple surveillance-class drives are equipped with AllFrame 4K technology, which improves ATA streaming to help reduce frame loss, improve overall video playback, and increase the number of hard drives bays supported within a NVR. 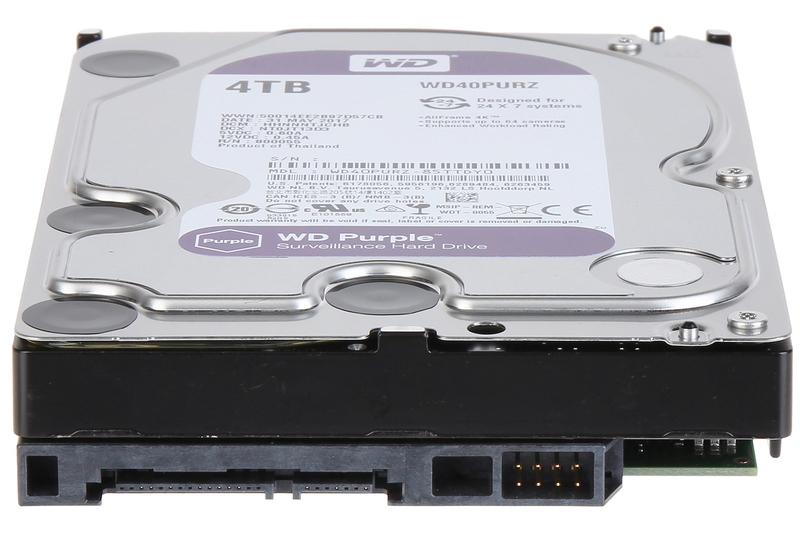 The drives support workload rate even up to 180 TB per year - three times higher in comparison with standard drives suitable for desktop computers. 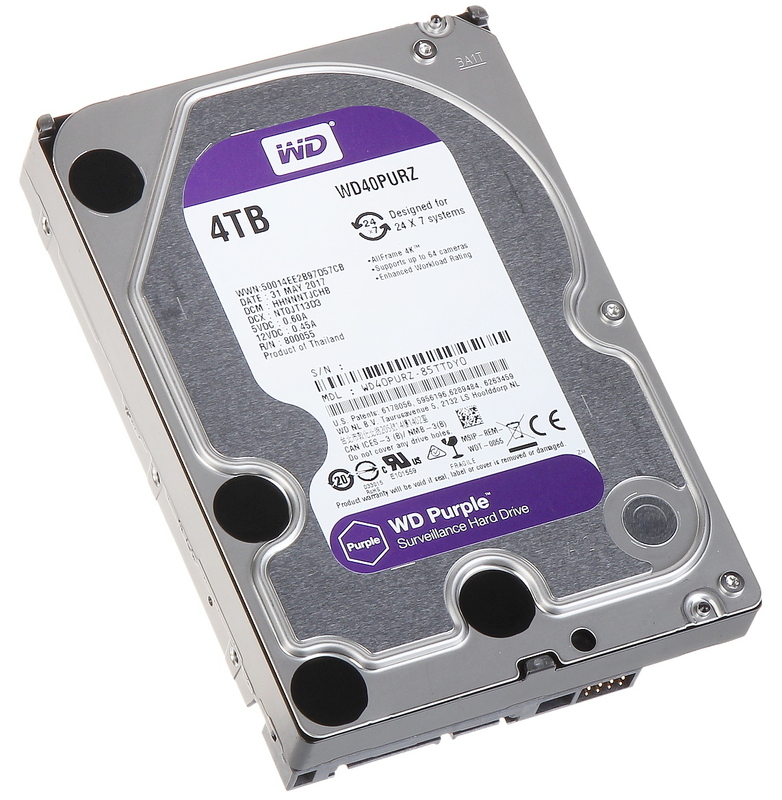 These drives are dedicated to HD video recording continuously in 24/7 mode and have reduced energy consumption. Serial ATA interface connection. The Western Digital drives marked PURZ are designed to work in video surveillance systems. Its design allows for error-free recording of several Full HD streams in 24/7 mode.